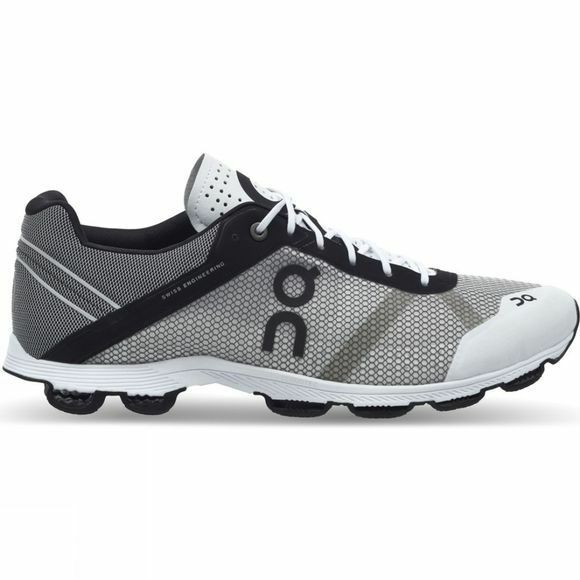 The Women's Cloudrush shoe by On features 18 responsive, low-abrasion rubber elements on its patented CloudTec sole. An extremely slim midsole is comprised of high-grade EVA, and features a flexible Speedboard that rolls with you. The innovative heel structure combines with these elements to support a dynamic stride, changing with your run and adapting to your running style. Reflective details aid visibility in low-light conditions, whilst strategic taping has been added to the skeletal design of the all-new upper to help you beat your rivals.